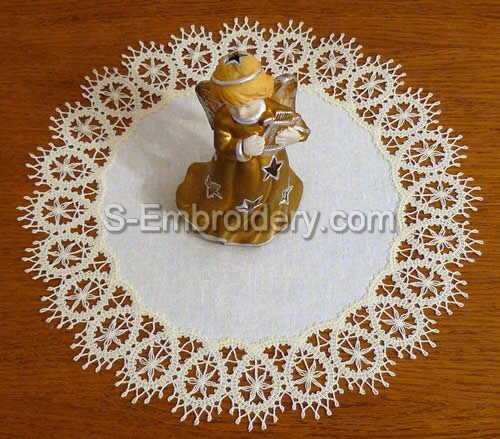 A delicate free standing Battenburg lace machine embroidery design. 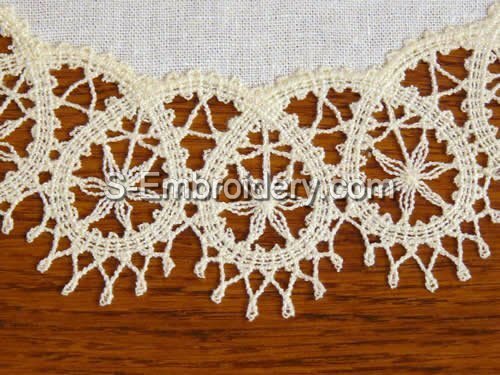 Use it to create a nice doily with a diameter of 12 inches (31 cm). 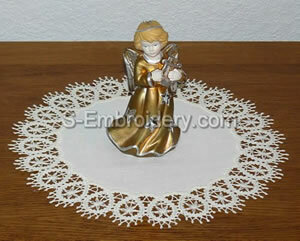 The design comes with instructions for creating the doily, featured on our web site.